What If I realize that I misspelled my domain name after registration? Have you ever registered a domain name, and a few days latter you feel like, uh..uhh no! this isn’t what I should have registered. You realize you registered a wrong domain name, so you end up registering domain after domain. Well, I was in the same boat too. My first domain was really crappy and till today, I don’t use it. I will use my experience to give you really cool tips to help you choose the right domain for your website. 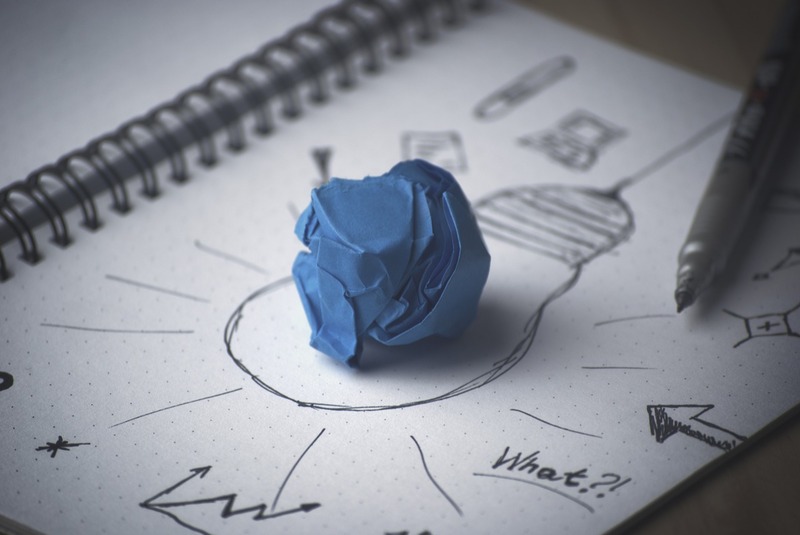 Generate a few ideas off your head related to your website activities. Come up with names related to your idea or website and write them down. Use online name generators like Shopify Name Generator to help you come up with relevant names you can use for your domain registration. Decide on a few good ones, out of the many you have brainstormed and put them aside. Its a nice idea to have more than just one name, so you can have alternatives just in case you find your first option already taken. In case you find yourself in a situation whereby, you are failing to decide on a name, out of all you have come up with, I suggest you give yourself a break, walk out and do something else. When you return after some time, and look at your ideas again, you will be able to see and know which name is right and why. Make sure you tie your website name to your domain name. If your domain name is different from your website name, this will confuse your website visitors. A lot of people even like it, when they first obtain a domain even before the website construction process kicks off. This is to make sure the domain name and website content match their company or brand. Long website names become are prone to mistakes when someone is typing them (typo). It a nice idea to keep it to a maximum of 3 words and less. In case your website or company/organization name is long, its better to use initials. For instance, New Creation Church would be ncc.org. This is easier to spell, pronounce and type. Hyphens are not easy to type and can be mistaken by others for underscore. So, its better to stay away from punctuations. Unless a number is really necessary or carries a meaning related to your website like 9ja.com. But, if you are just using a number as a way of altering a taken domain name, for instance because you find comicbooks.com taken then you end up with comicbooks71.com. Numbers should be avoid, unless they are part of your brand or name to your company or business. Make your domain unique, make it different from the ones that already exist. For instance, now that we already have Whatsapp.com, Whatsup.com would be mistaken to the former. Try as much as you can to be original. Getting an already popular name or brand and dubbing it with a few more characters may even land you before courts or law. You may loose your domain if it contains a registered trademark. In some cases, you can be sued and asked to pay a handsome amounts of money for the damages caused to the trademark owner such as customer confusion. Its important to search a trademark database www.uspto.gov, to make sure you are not infringing on any trademark. For further reading, here is a great article to give you some insight and how to avoid trademark infringement while registering a domain. 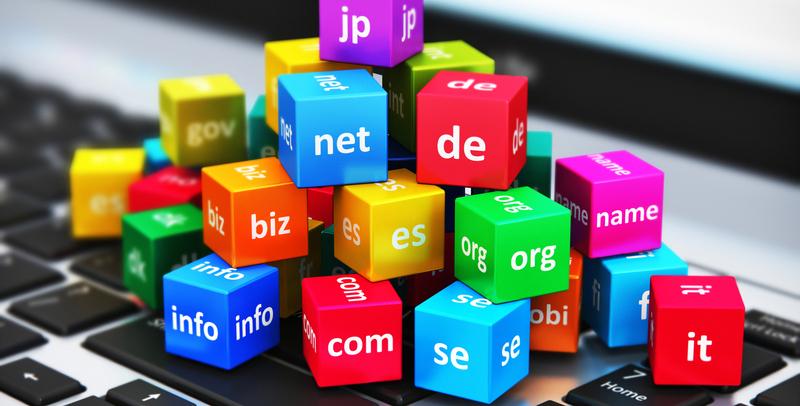 The introduction of new Top Level Domains (TLD) like .software, .website, .shop, etcetera has opened doors to make domain names speak for your business. You are no longer tied to traditional extensions only. However, make sure your extension is relevant to the activities of your website or company/organization. Its a bad idea to buy a domain name just because it’s come up on you mind, and you feel excited about it. Don’t buy just yet, try to give it another thought, unless if you are a domain flipper, you may find such a domain irrelevant and useless to you in a short while. Domain name registrars will try to scare you that, that domain name will be bought by someone else in no minutes if you don’t act quickly. They are just trying to push you into buying, its your idea, else, you would’ve found it already taken. So, relax and give it a second thought. Its nice to put your ideas down and visit them latter, if you still find yourself interested, then you can go a head and buy it. Sometimes, after you have finished registering you brand new domain, only to realize that you misspelled or missed a character. In such a situation, you should contact your registrar and explain to them. Registrars like Namecheap, handle such cases calmly and they will be able to correct your domain name at no extra cost. 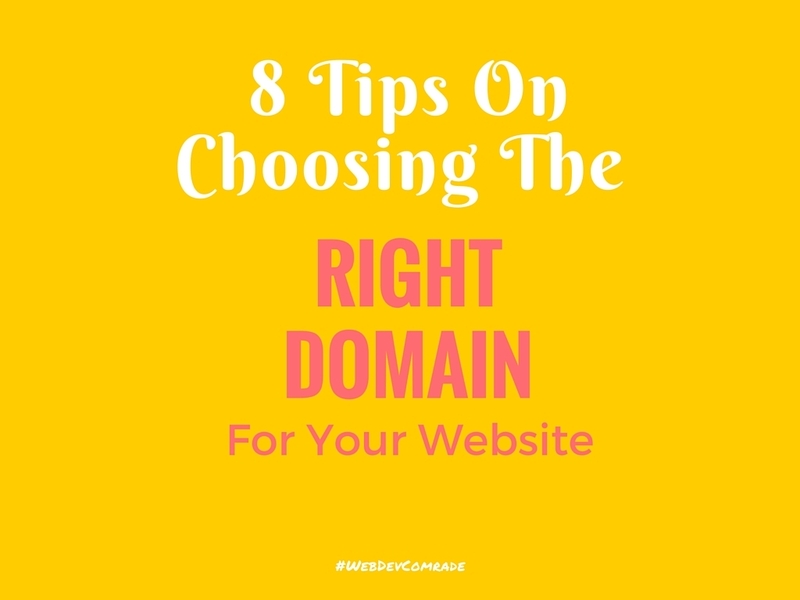 After writing these tips, I stumbled upon one great resource from firstsiteguide.com with more 11 awesome tips on choosing a right domain name for your website. Here is a link so you can see it for yourself. I would love to read from you. 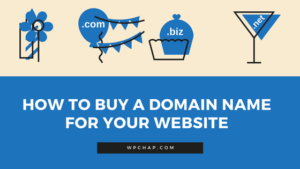 Do you have any tip you use to choose your domain names, don’t be shy to share it with me in the comments section below. For questions and comments, leave them below and I will be more than glad to respond. A Simple Way To Migrate or Restore a WordPress Website Using Duplicator Plugin.